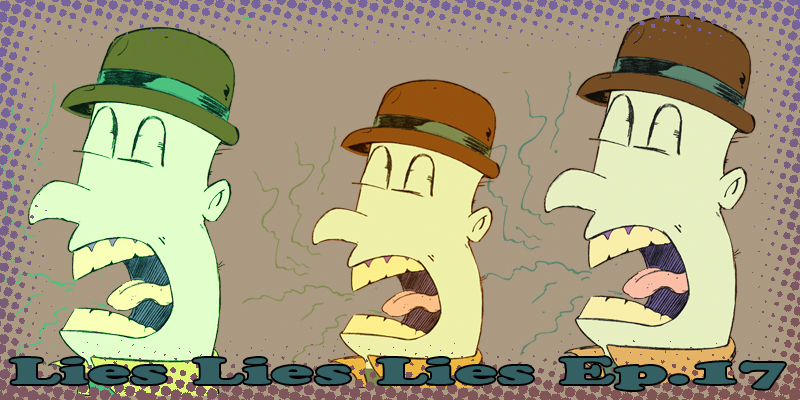 This week’s I Hate Art segment of the Twisted Pop Podcast, we talk about the lies we tell ourselves. Maybe everyone does this, but we’re talking specifically about what we do as artists. In the 9 to 5, talking my way through my day. I am satisfied because I am doing a good job, but this isn’t a profession I chose. It’s the profession that made the most money. And frankly, most people end up in a 9 to 5 that chose them, so cry me a river. It’s a pretty dark concept, but we have a little bit of fun with it. Ashley sits in on this one and of course, we have Larry Lines and Troy Winscott.